The term “let them eat cake” has never been sweeter than at the 10 best cake shops in Louisiana. The shops featured here are a great sampling of the deliciousness offered around the state to celebrate just about any special occasion or just because you like cake. Try one or try them all! With a passion to create delicious and beautiful cakes, the owners of Sucre in New Orleans, Louisiana, have several locations around the city where you can sample amazing confections and other bakery items that will leave you wanting more. The award-winning creations made there have been featured in more magazines than can be mentioned, and this is not a place to miss the next time you’re in New Orleans. Besides tortes, specialty cakes, petit fours, eclairs, macaroon trees, and the famous sucre cake, flavors range from Marbled Buttercream, Macaroon Madness, Chocolate Salty Caramel, and more. Many of their cakes are gluten-free, and they have vegan options available, too. Need a cake but won’t have time to pick it up? No problem if you let them know when you place your order and they can deliver it to you. Life-changing is what some people call eating cake at Les Amis Bake Shoppe. Located in Baton Rouge, Louisiana, this full service bakery is the place where good friends and good cake meet. Using only the best ingredients to create one-of-a-kind cakes for your special occasion, Les Amis will help you have a truly sweet celebration. Vanilla Caramel Crunch, Coconut Cream, Southern Red Velvet, Blueberry Chardonnay, Lemon Raspberry, and Strawberry Silk are just a few of the flavors offered, with their Carrot Cake being a top seller. The Dark Chocolate Salted Caramel is their signature cake. They always have cakes on site for purchase, but for specialty cakes, you’ll want to call ahead. Located in a sleepy little town on the West Bank of the Mississippi River, Creative Cakes In Harvey, Louisiana, creates some of the best cakes, petit fours, cupcakes, and more in the area. Open every day except Sunday and Monday, you can stop by or pre-order a variety of sweet baked goods for your next celebration. If you have a special design or picture that you’d like included on your cake, the talented designers will work with you to create the perfect cake. Known for making specialty cakes, cookies, cupcakes, and other delicious and creative baked goods, Cherries Cake Shop in West Monroe, Louisiana, is a great place to visit when you’re planning your next party. Even if you don’t have a party in mind but appreciate great taste and customer service, you’ll not be disappointed. With a longstanding reputation for creative and surprisingly moist cakes, you can choice from a selection of popular designs or suggest one of your own. Open every day except Sunday. If you want a cake that’s the talk of the party, make sure to get it from the Cocoa Bean Pastry Shop. 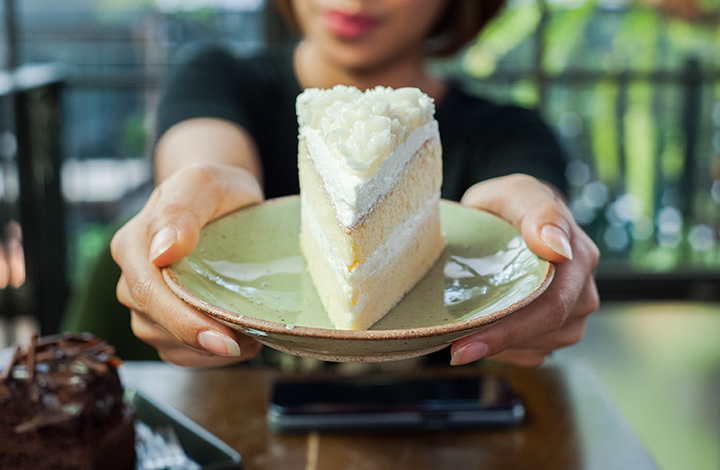 Located in Hammond, Louisiana, the Cocoa Bean has been serving the local community for almost 20 years, has great prices, excellent customer service, and you’ll get a cake that looks as good as it tastes. Birthday cakes, King cakes, wedding cakes, and other specialty baked items are all available here in flavors like White Chocolate Mousse, Italian Cream, Banana Cream, Lemon, and Peanut Butter . If you want something different, try the Chocolate Caramel Cake. You can grab a bit to eat in the café for lunch, too. Don’t judge this little unassuming cake shop before you try it. The Cake Shop, located in Lockport, Louisiana, is one of the best kept secrets in the area, but word is getting out. Great cakes, cookies, cupcakes, and other baked items are what you’ll find here, and you know a place has to be good when bakers from other shops get their cakes here. Prices are very reasonable and the helpful friendly staff will work with you to make sure you get exactly what you want. With cake this good, you won’t want to celebrate once a year! You’ll be looking for reasons to stop by and order one of the delicious and beautiful cakes made at Ninette’s Cake Shop in Thibodaux, Louisiana. In addition to your favorite cake flavor and frosting, you can choose any of the amazing flavors for the layers like caramel pecan, raspberry, pineapple, coconut, Bavarian cream, or chocolate mousse. Open five days a week, Ninette’s Cake Shop sells happy cakes and makes happy satisfied customers. All you have to do is step inside this bakery to smell the deliciousness. Using fresh ingredients and with a passion for creating great cakes at reasonable prices, Nothing Bundt Cakes was started in 1997, and has grown into a much larger dream. With a variety of sizes available, you can also get bundtlets and bundtinis, smaller versions of the large bundt varieties but with the same big flavor. Each month offers a featured flavor like Lemon Raspberry or Chocolate Chocolate Chip, but there’s a full menu of flavors waiting to be chosen. With so many possibilities, there’s no reason not to celebrate every day! Since cake and flowers often go together, wouldn’t it be great to find a place that offers both? House of Flowers & Cake Shoppe does just that! Located in Ruston, Louisiana, this floral and bakery store has it all. Fresh-cut flowers, bouquets, plants, and other decorations are available on the flower side, and you can select some of the sweetest get-togethers like cookies, cupcakes, brownies, muffins, and specialty cakes on the bakery side. You’ve heard of wine bars and sports bars, dive bars and retro bars. But have you ever experienced a bakery bar? You can in New Orleans, Louisiana. Simply called Bakery Bar, everyone is welcome to stop by any day and enjoy a relaxed atmosphere and menu items that feature brunch foods like eggs and hash and barbecue shrimp and grits or Korean Chili Popcorn and Pork Rillettes served with fig compote and crostini. But the best thing about Bakery Bar is that you can sample sweets and drinks all day long. And when you find a cake that you just have to take home, you can order it the way you want it. You choose the size, the shape, the number of layers, and you can even combine flavors into a half-and-half cake. View more Louisiana Bakeries and Pastry Shops.